Spirale diamond pendant is timeless and chic. 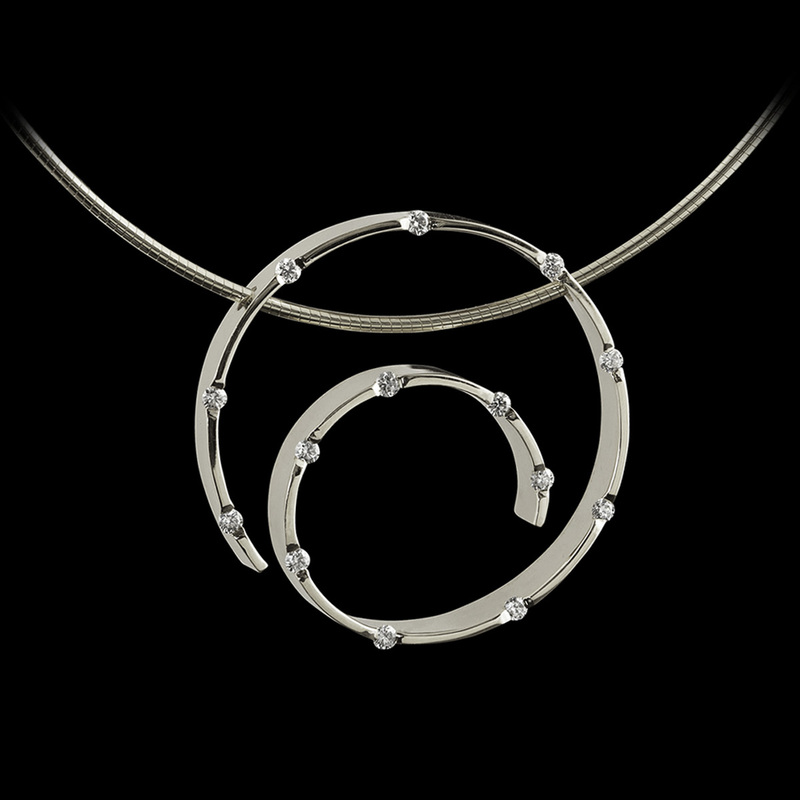 This unique pendant design incorporates diamonds set along the edge of a golden spiral pendant on a round omega chain. Also available in rose or white gold. To purchase, call us at (949) 715-0953 or use our contact form below.